Translator Note: I am aware that the term “pharmaceutical” may not be too appropriate for the setting of this story, hence I am open to suggestions for change. Do leave in the comment if you all have any suggestions! Was thinking doctor/druggist/pharmacist but they don’t seem really suitable either. Hope you guys enjoy this chapter! “Don’t worry, Senior Sister.” Zou Liang had always been patient when dealing with pretty women. This Senior Sis Yao Yao has a great figure and also generously displayed her impressive chest. As such, Zou Liang was optimistic about his future school life in the pharmaceutical division. “Creation… of poison? This actually is legal here?” Zou Liang asked as he realised that this occupation seemingly had a hidden dangerous side to it. Zou Liang let out an unrestrained laughter as Ai Wei Er looked at him and simply shook her head. She had forgotten the fact that Zou Liang actually had such a pellet at hand. Well, he was not wrong that by using the pellet, it would definitely help him in learning. Since it is the first day of school, Ai Wei Er naturally had a lot of matters to attend to. After bringing Zou Liang around the pharmaceutical division to familiarise with the environment, she had to go off to help out. As such, Zou Liang decided to take a stroll around the school’s courtyard and enjoy the scenery. He was very fond of such an environment as this reminded him of his youth, when he was still brimming with energy. However, he had no choice but to cut his stroll short halfway as he indeed did have quite a lot of lesson contents to catch up on. If he didn’t start preparing now when he was still free, he may not have the chance to do so in the future. For being given such a wonderful opportunity, he would really have to thank principal An Qi Luo! Ya Se accidentally collided intimately with a soft body of an approaching figure, except for the fact that the other party did not collide into his body. “Sorry, I didn’t…” Zou Liang explained at ease as he thought that it was just a mere collision. Since it was such a trivial issue, how bad could it be? When he saw the rapturing beautiful legs, he instantly recognised the owner of the legs. “Ji Nuo… Why are you here?” Zou Liang’s eyes opened widely as he remembered that Ji Nuo was not a citizen of Yelu Samo. “Ya Se, I have changed school just recently. 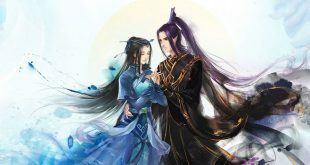 Now that we are classmates, you should take good care of me, especially since I am not familiar with the people around here!” Ji Nuo said enthusiastically as she held onto Zou Liang’s arm, causing Zou Liang’s head to spin in all directions. “Hehe, you’re not wrong that the school indeed has its own sets of regulations. However, my father is none other than the magistrate, if he did not have even this little bit of ability, won’t he be just a useless magistrate?” Ji Nuo explained without concealing any facts. “Haha, it just happened that Lan Di was actually talking about you just two days ago. You two can swap some pointers in the days to come.” Zou Liang attempted to change the topic. Even though his debating skills have showed improvement, he was still far from the apex. When faced against this spicy and passionate Leopard Tribe lady, his true character was starting to be exposed. “Then, did you think about me?” Ji Nuo said charmingly. As expected, Ji Nuo moved away to increase the distance between the two. Zou Liang did not have any intentions of provoking Ji Nuo. Since the matters with Aoli Xiya (the name of the young cheeky girl priest who likes Zou Liang in case u guys forgotten), he did not want to risk worsening the relationship with that little brat who gets jealous easily. Ji Nuo lips formed a slight smile as she stared at Zou Liang hurrying off in a flurry. In the afternoon, Ke Te and Ou Ni Si Te was the first two to reach. With Ke Te bringing him, Ou Ni Si Te was able to familiarise himself with the environment pretty quickly. No one dared to find trouble for the newbie second year as Ou Ni Si Te now carried a different reputation as compared to the past. In the past, he was known as the useless handicapped Bi Er warrior. However, the current him could cause even the third-year Ke Te some headache in combat, hence, no one dared to look down on him. Not long after, Ya Se arrived as well to join them for lunch. “Ya Se, you need to think of some solution to solve Ai Wei Er’s problem.” Ke Te muttered after hesitating for a while. “You were so busy during that period of time. Moreover, she’s the type of person who is okay with helping others but refuses to trouble others when it comes to herself.” Ke Te explained as he was well-acquainted with Ai Wei Er’s temperament. This was indeed his own mistake. After promising Ai Wei Er, he was so busy that he delayed the matter for so long and had forgotten that the various occupation guilds required the weapons so they could check its authenticity. Even though the Archery Guild would not find trouble with Ai Wei Er, it was still impossible for Ai Wei Er to enter the guild through her connections when she did not even have a proper bow. Ke Te nodded his head as he could already visualise that Ya Se would create yet another monstrous object. “Hmph. As long as there are pretty women to look out for, all is good. In addition, there would always br opportunities, right, Ya Se?” Lan Di said with a glimmer of hope. “Well, love is up to one’s choice, if you want to chase her, just go for it.” Zou Liang was a big fan of pretty girls and enjoys admiring them. Maybe because he was still young, but he had yet to meet a true flirt who would flatter and pursue every girl they see.